On October 2, 2006, a shooting occurred at the West Nickel Mines School, an Amish one-room schoolhouse in the Old Order Amish community of Nickel Mines, a village in Bart Township, Lancaster County, Pennsylvania. 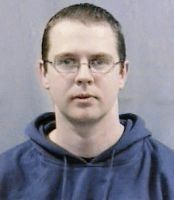 Gunman Charles Carl Roberts IV took hostages and shot eight out of ten girls (aged 6–13), killing five, before committing suicide in the schoolhouse. The emphasis on forgiveness and reconciliation in the Amish community's response was widely discussed in the national media. The West Nickel Mines School was torn down, and a new one-room schoolhouse, the New Hope School, was built at another location. c. 10:25 a.m. – c. 11:07 a.m.
Roberts backed a pickup truck up to the front of the Amish schoolhouse and entered it at approximately 10:25 a.m. EDT, shortly after the children had returned from recess. He asked the teacher, Emma Mae Zook, and the students if they had seen a missing clevis pin on the road. Survivors said he mumbled his words and did not make direct eye contact. After they denied seeing a clevis pin, he left to his truck and reentered holding a Springfield XD 9mm handgun. He ordered the boys to help him carry items into the classroom from the truck. Zook and her mother, who was visiting, took this opportunity to escape and run toward a nearby farm for help. Roberts saw them leave, and ordered one of the boys to stop them, threatening to shoot everyone if they got away. They reached the farm, where they asked Amos Smoker to call 911. Meanwhile, the boys carried in lumber, a shotgun, a stun-gun, wires, chains, nails, tools, a small bag and wooden board with multiple sets of metal eye-hooks. The bag held a change of clothes, toilet paper, candles, and flexible plastic ties. Using wooden boards, Roberts barricaded the front door. Roberts ordered the girls to line up against the chalkboard and allowed a pregnant woman, three parents with infants, and all remaining boys to exit. One girl, nine-year-old Emma Fisher, escaped without her older sister. Smoker's 9-1-1 call was recorded at 10:36 a.m. An article, Revisiting the Amish Schoolhouse Massacre, described the situation prior to the arrival of the first state police troopers: "An Amish adult male from this farm, with his two large dogs, took the bold opportunity to stealthily approach the windowless back wall of the schoolhouse. Hoping for an opportunity to help the little girls, he slowly crept around one side of the wooden structure and positioned himself as an observer next to a side window." It continued, "Observing that the first police patrol vehicle to approach the scene was not slowing down to stop, the Amish man quickly withdrew from his hiding place and sprinted towards the roadway to wave down the trooper, who did a fast U-turn and parked. That would be the last successful attempt at an unnoticed move upon the building by anyone." The first trooper had arrived at approximately 10:42, about six or seven minutes after the 9-1-1 call. The police, while waiting for reinforcements, attempted to communicate with Roberts via the PA system in their patrol cars. They asked Roberts to throw out his weapons and exit the schoolhouse. Roberts refused, again ordering the officers to leave. By 11:00 a.m. a large crowd—including police officers, emergency medical technicians, and residents of the village—had assembled both outside the schoolhouse and at a nearby ambulance staging area. County and state police dispatchers had briefly established telephone contact with Roberts as he continued to threaten violence against the children. During interviews conducted later it became apparent that all of the girls recognized the danger they were in. Some conversed among themselves throughout the ordeal. Shortly before Roberts opened fire, two sisters, Marian and Barbara Fisher, 13 and 11, requested that they be shot first that the others might be spared. Barbara was wounded, while Marian was killed. A child's loud screaming was heard from within the school. At approximately 11:07 a.m., Roberts began shooting the victims. State troopers immediately approached. As the first trooper in line reached a window, the shooting abruptly stopped; Roberts had committed suicide. During the shooting, he fired at least 13 rounds from his pistol. It took the troopers about two and a half minutes to break into the school to assist those children who were not killed instantly. At about 11:10 a.m. a message was broadcast on the police radio, "a mass casualty on White Oak Road, Bart Township, with multiple children shot", and "at 11:11 a.m., police radioed dispatchers again, estimating 10 to 12 patients with head injuries. The first medical helicopter was dispatched." Troopers and local police officers assisted the surviving children, administering first aid. Troopers and local officers continued to tend to the girls, helping the emergency medical technicians provide first aid on the school playground. Ambulances arrived just as the wounded girls were being carried out of the schoolhouse. Helicopters landed shortly thereafter and those still living were taken away for medical treatment. The gunman, identified as Charles Roberts IV, aged 32, was a milk tanker truck driver who served several Amish farms in the Nickel Mines area (including some of the victims' families). He had three children and a wife, for whom he left four separate suicide notes. When State Police Commissioner Jeffrey B. Miller interviewed Roberts' co-workers, they claimed to have noticed a "change" in him over the months leading up to the shooting. They also claimed that he seemed to return to normal in the week leading up to the shooting. Miller hypothesizes that this "calm" may have been when he (Roberts) decided to go through with the shooting. Miller also noted that Roberts' neighbors reported his mood as unusually upbeat and jovial during this time period. Roberts was at the time a resident of nearby Georgetown, another unincorporated area of Bart Township. His wife last saw him at 8:45 a.m. when they walked their children to the bus stop before she left. When Mrs. Roberts returned home a little before 11:00 a.m., she discovered four suicide notes; one addressed to herself and one to each of their three children. Roberts called his wife from the schoolhouse on his cell phone and told her that he had molested two young female relatives (between the ages of 3 and 5) 20 years previously (when he was 12) and had been daydreaming about molesting again. One note Roberts left behind indicated his despondency over a daughter who died approximately 20 minutes after birth nine years earlier. He stated that he had "been having dreams for the past couple of years about doing what he did 20 years ago and he has dreams of doing them again", according to State Police Commissioner Colonel Jeffrey Miller. On October 4, 2006, the two relatives whom Roberts said he molested 20 years ago told police that no such abuse had ever happened, throwing a new layer of mystery over the gunman's motive and mental state during the shooting. KY Jelly was also found in the schoolhouse among Roberts's belongings, possibly suggesting multiple motives for the incident. Roberts' suicide note also spoke of the anger he had held against God. On October 10, 2006, the transcripts of the 911 calls made October 2, 2006, in connection with the attack were released. The callers identified in the transcripts were Amos Smoker, the same man who telephoned 911 reporting the armed invader at the school, Roberts, and Roberts' wife Marie. In some cases the transcript indicates the line went dead because the call was transferred to state police and was not recorded by Lancaster County. At 10:35, Amos Smoker placed the call on behalf of the school teacher, Emma Mae Zook, who had run to a nearby farm to summon help. About the time of this initial call for help, a pregnant woman, three parents with infants, and all 15 male students were told to leave the school by Roberts. The first police officer arrived approximately six minutes later. As the first few troopers approached the building, Roberts ordered them to leave or else he would start shooting. An agitated Roberts continued to demand that police leave as the troopers attempted to communicate with Roberts via the PA system in their police cars. At 10:41, a second caller reported the incident, and was transferred to the State Police. At 10:55, Roberts was reaching the final stages of his plan. He had arranged the bound girls at the front of the classroom, near the chalkboard. Roberts made two cell phone calls, one to his wife and the next to police. He warned the 911 dispatcher that if state police were not off the property in two seconds, he would kill the children. The dispatcher attempted to delay him and put him in touch with the State Police, but Roberts ended the call. Two of the girls then began negotiating with Roberts. They pleaded for him to shoot them first. This allowed the girls a little extra time for possible rescue. At approximately 11:07 a.m., Roberts followed through with his threats and the sound of rapid gunfire was heard. At 10:58, Mrs. Roberts called 911 after arriving home from a prayer study group meeting. She had discovered a suicide note left on the kitchen table and had received a brief and disturbing emotional phone call from her husband. The 911 dispatcher put her in touch with State Police. After the police entered the schoolhouse, all of the wounded girls were taken to hospitals. Two had died at the school house, one was pronounced dead on arrival at Lancaster General Hospital, and two sisters survived until the early hours of October 3 when they were taken off life support. The surviving victims of the immediate attack were brought to Lancaster General Hospital, stabilized, and then transferred to hospitals with pediatric trauma care. Three children were admitted to Milton S. Hershey Medical Center, four to Children's Hospital of Philadelphia and one to Christiana Hospital in Newark, Delaware, reported a state police spokesman. One child was initially transported to The Reading Hospital and Medical Center via helicopter, and then transported to the Children's Hospital of Philadelphia after being stabilized. Reports stated that most of the girls were shot "execution-style" in the back of the head. The ages of the victims ranged from six to thirteen. According to The Washington Post, police and coroner accounts of the children's wounds differed dramatically; Pennsylvania State Police Commissioner Jeffrey B. Miller said Roberts shot his victims in the head at close range, with 17 or 18 shots fired in all, including the one he used to take his own life as police stormed into the school by breaking through the window glass. Janice Ballenger, deputy coroner in Lancaster County, Pennsylvania, counted at least a dozen shotgun pellet inflicted wounds in one child alone before asking a colleague to take over and continue for her. Inside the school, Ballenger said, "there was not one desk, not one chair, in the whole schoolroom that was not splattered with either blood or glass. There were bullet holes everywhere, everywhere." As a result of their actions in the line of duty, State Police Commissioner Jeffrey B. Miller presented the State Police Medal of Honor to ten Pennsylvania State Troopers in appreciation for their efforts to assist the victims. Local police officers and emergency personnel were presented commendations by the Bart Township Fire Company. Marie Roberts wrote an open letter to her Amish neighbors thanking them for their forgiveness, grace, and mercy. She wrote, "Your love for our family has helped to provide the healing we so desperately need. Gifts you've given have touched our hearts in a way no words can describe. Your compassion has reached beyond our family, beyond our community, and is changing our world, and for this we sincerely thank you." The Amish do not normally accept charity, but because of the extreme nature of the tragedy, donations were accepted. Richie Lauer, director of the Anabaptist Foundation, said the Amish community, whose religious beliefs prohibit them from having health insurance, will likely use the donations to help pay the medical costs of the hospitalized children. Some commentators criticized the quick and complete forgiveness with which the Amish responded, arguing that forgiveness is inappropriate when no remorse has been expressed, and that such an attitude runs the risk of denying the existence of evil, while others were supportive. Donald Kraybill and two other scholars of Amish life noted that "letting go of grudges" is a deeply rooted value in Amish culture, which remembers forgiving martyrs including Dirk Willems and Jesus himself. They explained that the Amish willingness to forgo vengeance does not undo the tragedy or pardon the wrong, but rather constitutes a first step toward a future that is more hopeful. The West Nickel Mines School was demolished the following week, on October 12, 2006. The site was left as a quiet pasture. The New Hope School was built at a different location, near the original site. It opened on April 2, 2007, precisely six months after the shooting. The new school was intentionally built as "different" as possible from the original, including the style of the flooring. Naomi Rose Ebersol, age 7, died at the scene, October 2, 2006. Marian Stoltzfus Fisher, age 13, died at the scene, October 2, 2006. Anna Mae Stoltzfus, age 12, was declared dead on arrival at Lancaster General Hospital, Lancaster, Pennsylvania, October 2, 2006. Lena Zook Miller, age 8, died at Milton S. Hershey Medical Center in Hershey, Pennsylvania, October 3, 2006. Mary Liz Miller, age 7, died at Christiana Hospital in Newark, Delaware, October 3, 2006. All of the surviving girls were hospitalized. Rosanna King, 6 years old, was removed from life support at Milton S. Hershey Medical Center and sent home at the request of her family on October 4, 2006. Some reports claim the child showed signs of recovery and was sent back to the hospital. Her condition improved, though she was still greatly impaired from the shooting and remained at home. Esther King, 13 years old. The girls wounded in the shooting made measurable progress in the year after the shooting. Sarah Ann Stoltzfus did not have full vision in her left eye but was back at school — she had not been expected to survive. Barbie Fisher was pitching in school softball but had undergone another shoulder operation in hopes of strengthening her right arm. Rachel Ann Stoltzfus returned to school in the months after the shooting. Esther King returned to school in the months after the shooting, graduated, and was working on the family farm. The youngest victim, Rosanna King, had not been expected to survive and was sent home. She had serious brain injuries and does not walk or talk as of October 2016[update]. Rosanna uses a wheelchair, but is said to recognize family members and frequently smiles. After the tragedy, several funds were established to assist the survivors. The Nickel Mines Children's Fund was established to aid the families of the children who had been shot, especially since the Amish had no medical insurance to pay for medical care. By 2007, some 4.3 million dollars was reported to have been donated to this fund. On March 28, 2010, the Lifetime Movie Network premiered a television movie about the Nickel Mines shooting, Amish Grace, based on the book Amish Grace: How Forgiveness Transcended Tragedy. It was the highest rated movie on Lifetime Movie Network up to that date. Several nonfiction books have been written about the shooting, including Amish Grace: How Forgiveness Transcended Tragedy by Donald Kraybill, Steven Nolt, and David L. Weaver-Zercher. The play The Amish Project by Jessica Dickey is a fictional account of the shooting told through monologues delivered by various people affected by the shooting, from both the Amish and outside community. ^ a b "Six killed in Pennsylvania school attack". SignOnSanDiego.com. October 2, 2006. Retrieved October 3, 2006. ^ a b "Gunman Opens Fire In Amish School 'Revenge'". CBS. October 3, 2006. Archived from the original on October 2, 2006. Retrieved October 3, 2006. ^ a b c d "Police: School killer told wife he molested family members". CNN. October 3, 2006. Retrieved October 3, 2006. ^ "Fifth girl dies after Amish school shooting". CNN. October 3, 2006. Retrieved October 3, 2006. ^ a b c d e f g "Fatal shooting at US Amish school". BBC News. October 3, 2006. Retrieved March 8, 2015. ^ Knight, Sam (October 4, 2006). "The awkward encounter that began Amish school nightmare". Times Online. London, UK. Retrieved October 6, 2006. ^ a b Armellino, Rick (August 22, 2007). "Revisiting the Amish schoolhouse massacre". PoliceOne. Retrieved October 6, 2014. ^ a b "Gunman threatened to kill Amish children 'in 2 seconds'". Associated Press. October 10, 2006. Archived from the original on October 26, 2006. Retrieved October 28, 2006. ^ "Amish School Shooting in Lancaster PA". LancasterPA.com. Retrieved March 6, 2019. ^ "Family friend:Amish girl asked to be shot to save others". CNN. October 6, 2006. Archived from the original on October 9, 2006. Retrieved October 6, 2006. ^ KOCIENIEWSKI, David (October 3, 2006). "Man Shoots 11, Killing 5 Girls, in Amish School". New York Times. Retrieved April 11, 2015. ^ Birch, Douglas (October 4, 2006). "Family man who killed little girls". The Age. Melbourne, AUS. Retrieved October 4, 2006. ^ Ortega, Ralph R. (October 5, 2006). "Revelations cast doubt on killer's motive". The Star-Ledger. The Star-Ledger. Retrieved October 5, 2006. ^ Rodgers, Ann (September 30, 2007). "Nickel Mines legacy: Forgive first". Pittsburgh Post-Gazette. ^ a b Courogen, Chris A. (October 3, 2006). "Amish School Shootings: 'Angry at God'". The Patriot-News. Archived from the original on October 7, 2010. Retrieved October 3, 2006. ^ McCaffrey, Raymond; Duggan, Paul; Wilgoren, Debbi (October 3, 2006). "Five Killed at Pa. Amish School". The Washington Post. Retrieved October 3, 2006. ^ Jones, Tamara; Partlow, Joshua (October 4, 2006). "Pa. Killer Had Prepared for 'Long Siege'". The Washington Post. Washington Post. Retrieved April 23, 2010. ^ "State Police Present Medals of Honor to 10", pubcontent.state.pa.us; accessed March 8, 2015. ^ a b "Amish grandfather: 'We must not think evil of this man'". CNN. October 5, 2006. Archived from the original on December 10, 2007. Retrieved January 17, 2008. ^ "Amish Search for Healing, Forgiveness After 'The Amish 9/11'". Religion News Service. October 5, 2006. Archived from the original on October 21, 2006. Retrieved April 7, 2010. ^ "Amish gather to pray at funerals for slain girls". CTV. October 6, 2007. Retrieved January 17, 2008. ^ a b "Amish School Shooting 2006". amishnews.com. Retrieved January 17, 2008. ^ a b McElroy, Damien (October 17, 2006). "Amish killer's widow thanks families of victims for forgiveness". The Daily Telegraph. London, UK. Retrieved January 17, 2008. ^ "Donors Pitch in to Help Grieving Amish Community". CNN. October 6, 2006. Retrieved October 6, 2006. ^ Podhoretz, John (October 5, 2006). "Hating a Child Killer". National Review. Retrieved January 17, 2008. ^ Jacoby, Jeff (October 8, 2006). "Undeserved forgiveness". The Boston Globe. Retrieved January 17, 2008. ^ Gottlieb, Dovid (October 17, 2006). "Not Always Divine". CrossCurrents. Retrieved January 17, 2008. ^ Dreher, Rod (October 5, 2006). "Hate". Beliefnet. Retrieved January 17, 2008. ^ Dreher, Rod (October 6, 2006). "Amish faith shines, even in tragic darkness". The Dallas Morning News. Retrieved January 17, 2008. ^ Kraybill, Donald B.; Steven M. Nolt; David L. Weaver-Zercher (2007). Amish Grace: How Forgiveness Transcended Tragedy. Jossey-Bass. ISBN 978-0-7879-9761-8. ^ Kraybill, Donald B.; Steven M. Nolt; David L. Weaver-Zercher (September 17, 2007). "Amish Grace and the Rest of Us". Christianity Today. Retrieved January 17, 2008. ^ Amish school razing set for Thursday, yahoo.com; accessed March 8, 2015. ^ "Workers demolish school where Amish girls were killed". Associated Press. CNN. October 12, 2006. Archived from the original on October 13, 2006. Retrieved October 14, 2006. ^ "Bart Twp. Amish school reopens". Lancaster New Era. April 2, 2007. ^ "Naomi Rose Ebersol". Lancaster New Era. October 4, 2006. Archived from the original on January 4, 2013. Retrieved October 5, 2006. ^ a b c Brubaker (October 4, 2006). "A Solemn Farewell". Lancaster New Era. Archived from the original on October 11, 2006. Retrieved October 5, 2006. ^ "Marian S. Fisher". Lancaster New Era. October 4, 2006. Archived from the original on January 3, 2013. Retrieved October 5, 2006. ^ "Anna Mae Stoltzfus". Lancaster New Era. October 4, 2006. Archived from the original on October 25, 2006. Retrieved October 5, 2006. ^ a b Kelley, Janet; Stauffer, Cindy (October 4, 2006). "Hundreds line roads to pay respects". Lancaster New Era. Archived from the original on October 11, 2006. Retrieved October 5, 2006. ^ "Mary Liz and Lena Z. Miller". Lancaster New Era. October 4, 2006. Archived from the original on January 3, 2013. Retrieved October 5, 2006. ^ "Four of Five Amish Shooting Victims Are Laid To Rest in Hand-Dug Graves". New York Sun. October 6, 2006. Retrieved October 7, 2006. ^ Stauffer, Cindy; Kelley, Janet (October 6, 2006). "Hope for Healing". Lancaster New Era. Archived from the original on October 21, 2006. Retrieved October 6, 2006. ^ a b c "COVER STORY: Heartbreak In a Small Town". People. October 5, 2006. Retrieved October 6, 2006. ^ Goldenberg, Suzanne (October 4, 2006). "Schoolhouse killer haunted by guilt over abuse of young girls 20 years ago". The Guardian. London, UK. Retrieved October 6, 2006. ^ Mack, Diane (October 27, 2011). "From the Amish, a lesson in forgiveness". Examiner.net. Archived from the original on July 3, 2013. Retrieved March 8, 2015. ^ a b "A Year Later: Amish Rebuilding Their Lives. A Lesson of Forgiveness". Good Morning America. October 2, 2007. Retrieved February 5, 2008. ^ Walters, Joanna (October 2, 2016). "'The happening': 10 years after the Amish shooting". The Guardian. Retrieved September 15, 2017. ^ Infosite, religioustolerance.org; accessed March 8, 2015. ^ One third of $4.3 million spent on Nickel Mines victims Archived November 10, 2013, at the Wayback Machine, lancasteronline.com; accessed March 8, 2015. ^ "Amish Grace". myLifetime. April 5, 2010. Archived from the original on March 30, 2010. Retrieved April 5, 2010. ^ "LIFETIME MOVIE NETWORK'S "AMISH GRACE" BREAKS NETWORK RECORDS IN MARCH 28 DEBUT". www.aenetworks.com. March 29, 2010. Retrieved June 29, 2017. ^ , Highpoint University Theatre; accessed January 21, 2018. Donald Kraybill, Steven M. Nolt, and David L. Weaver-Zercher: Amish Grace - How Forgiveness Transcended Tragedy, Jossey-Bass, 2007; ISBN 978-0-7879-9761-8. John L. Ruth: Forgiveness: A Legacy of the West Nickel Mines Amish School, Herald Press, 2007; ISBN 978-0-8361-9373-2. Harvey Yoder: The Happening - Nickel Mines School Tragedy, TGS International, 2007; ISBN 978-1-885270-70-2.